Last weekend I wanted to get out of town. 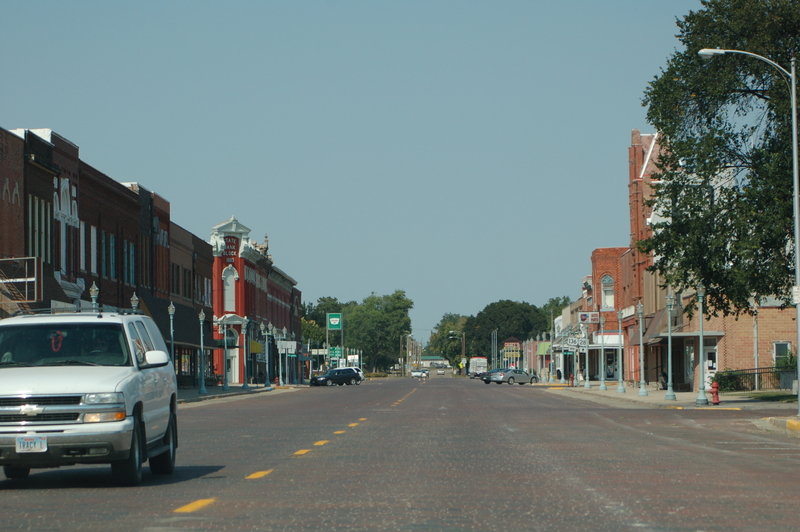 And I knew I wanted to, sometime this fall, make the trip to visit the town known for being the home of Willa Cather, perhaps Nebraska’s most famous author. Many of Cather’s books are set in Red Cloud. The small town (population 1,100) of Red Cloud, Nebraska wasn’t too far — 1.5 hours one way — so we jumped in the car, found sustenance for the journey, and headed south. To my shame, I haven’t yet read any of Cather’s works (at least that I remember), but that didn’t stop me. Death Comes for the Archbishop has been sitting on my shelf, patiently waiting to be read, for well over a year now. Before leaving home I’d printed information for a self-guided walking tour of the town’s Cather sites (I printed this from the chock-full, amazing, loaded, over-the-top informative Cather Foundation website). We drove into town and stopped at the Red Cloud Opera House, which houses the Cather Foundation offices, along with its bookstore and an art gallery. I was tempted by some books and memorabilia, but I resisted. Once we realized that we’d explored all the listed buildings on Webster but had a long ways to go to complete the tour, we jumped in the car to explore the rest of town. 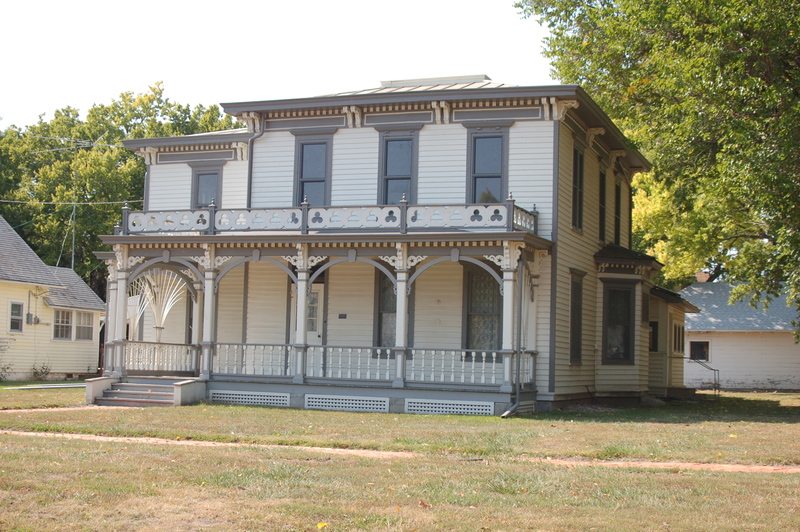 The Cather family lived in this home from 1884 to 1904. This is the house described in My Antonia, where Antonia worked. This is the church of Cather's youth. She was raised Baptist but later joined the Episcopalian church. Once we were done looking at buildings, we drove south of town (within sight of the Kansas border) to the Willa Cather Memorial Prairie. 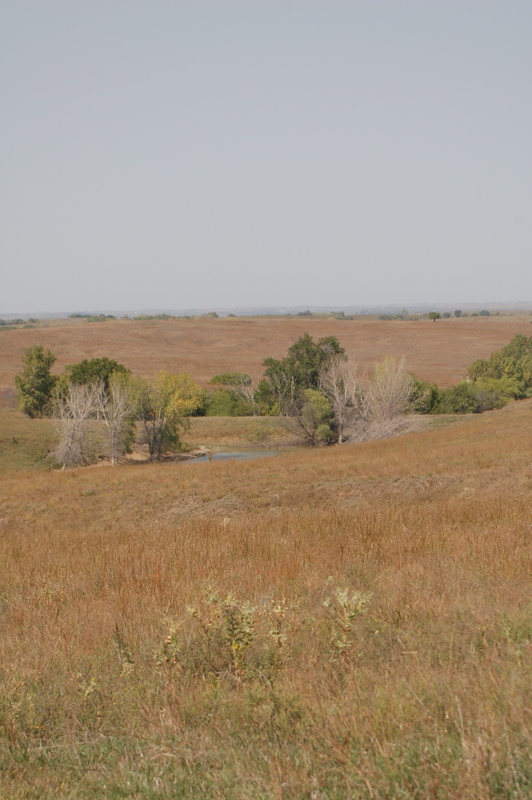 The Willa Cather Memorial Prairie consists of 608 acres of never-been-plowed native prairie. 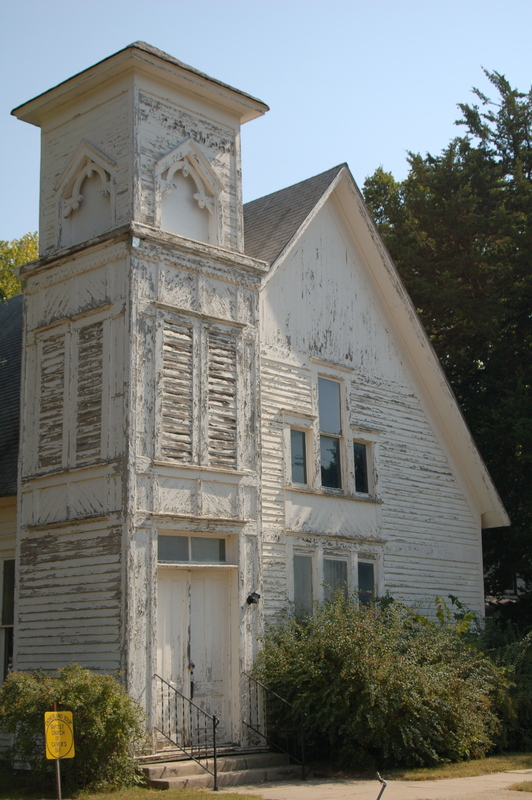 The foundation is returning this land to its pre-1900 conditions. 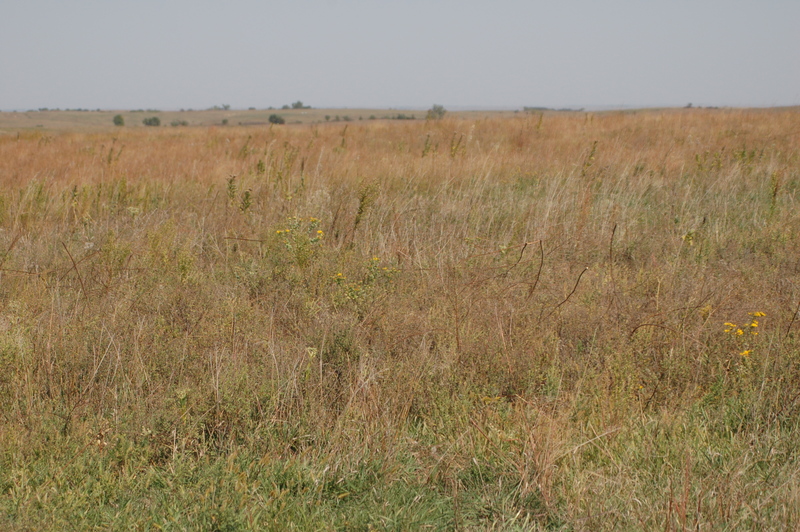 The area is classified as loess, mixed-grass prairie. So that’s it! Hope you’ve enjoyed this brief tour of Red Cloud, Nebraska. Have you taken any literary road trips lately? This entry was posted in books and tagged author, midwest, Nebraska, photograph, Red Cloud, travel, Willa Cather. Bookmark the permalink. I haven’t read Cather either but might do now. I am planning a trip to the grave of T.S. Eliot, who was buried somewhere twenty miles west of where i live in the UK. And last year my wife and I found the little place that Steinbeck stayed in when he lived in England for a short while, researching Arthurian legends. Ooh, that would be very cool to see places T.S. Eliot lived! I don’t know how much time he got to spend in East Coker, UK, but his ancestors were from that area before they emigrated to America. One of his Four Quartets is entitled ‘East Coker’ so perhaps he did visit the place. And now he rests there eternally. Apparently he did visit there, in 1937. The poem was published in 1940 so it was definitely inspired by the village. I enjoyed your post. I briefly traveled through Red Cloud, but didn’t have the chance to stop. I have read 3 of Cather’s books and loved all of them, though they were all really different from each other (My Antonia, Death Comes to the Archbishop, and Song of the Lark) and I’m going to be reading Alexander’s Bridge for my November Novella Challenge. I am way jealous that you got to go there, but thanks for the pictures!!!!!! They were really cool to see! Wow, thank you so much for this post and the great pictures. I have been to Nebraska a few times in my life, but never to Red Cloud. As a big Cather fan, it is really nice to see how much of her footprint is still standing. I haven’t read a Cather novel that I haven’t liked. Of course Pioneers and Antonia are great, but my personal favorite is The Professor’s House. 1100 people – talk about small! Main Street looks charming, though. What a fun idea for a day trip (at least for you…it’s a little far for me :-D). This is the America that people seldom see. It’s uniquely beautiful in its simplicity. You surely revived my childhood memories. Thanks. 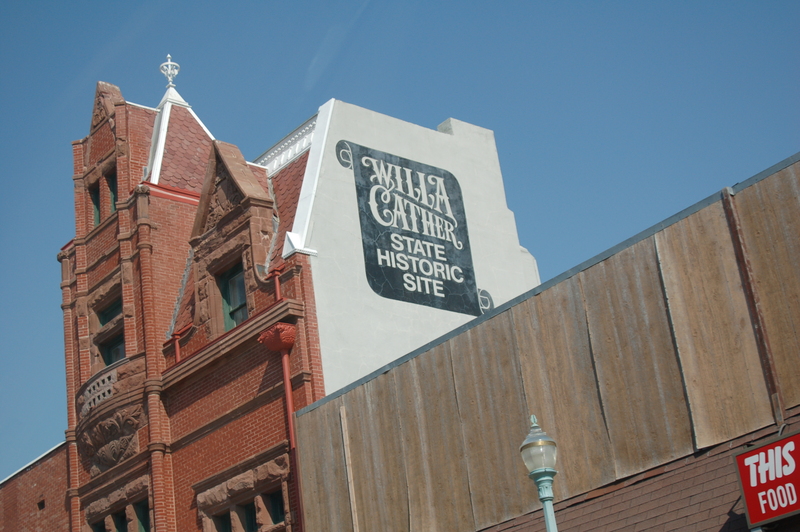 This is the perfect trip to honor Willa Cather. I’m so glad you took the time to do this. Your pictures are excellent and they helped extend the pictures in my mind. 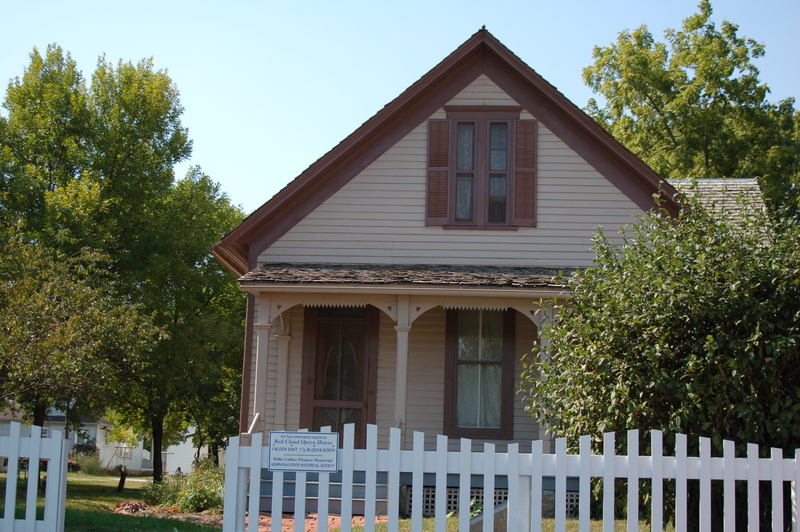 My Antonia is one of my favorites of her books and I enjoyed seeing the Harling house. I’m so glad you took this day trip for your literary road trip. Quite super! Cather is one of my favorite authors. Thank you for the lovely photos. I really enjoyed your post. I have spent a lot of time in Nebraska and I sometimes forget about the opportunities for hands on learning that abound there. Thanks for reminding me how great my former home state is! I never knew she had a prairie named after her. That seems pretty huge. “As I looked about me I felt that the grass was the country, as the water is the sea. The red of the grass made all the great prairie the colour of wine-stains, or of certain seaweeds when they are first washed up. And there was so much motion in it; the whole country seemed, somehow, to be running.” Willa Cather – My Antonia (shared on the Prairie’s website). Oh, that reminds me! I read somewhere while I was down there that they had that view of the prairie from in town — because there weren’t any trees in town. That set me aback a bit. Just look how gorgeous those houses are, and those prairies. It is all exactly how I imagined them being in My Antonia. Really beautiful, Cather managed to capture the natural beauty of the place in her writing. This is a really fantastic post, thank you for posting the photos. Yes, you should go! A change of scenery is wonderful. How much do I love that you did an *actual* literary road trip? I LOVE this! It looks like you had a phenomenal time and learned a lot about Cather. You totally should have gotten books, haha. Awesome stop on the road trip thank you for sharing it with us. Absolutely fantastic tour–thanks so much for sharing this with us! I’ve been through Nebraska several times but always missed Red Cloud. Stunning photos. The quality of light and the shades of the landscape are just as I imagined they would be from reading Cather. Glad I was directed to your blog! Fabulous, fabulous Literary Road Trip. I’ve read Cather and like her work. I love seeing this more personal connection to the author. I love Willa Cather’s books! OK. I’ve only read My Antonia, but I read it twice. Does that count as two? I also have Death Comes For The Archbishop sitting on my shelf waiting to be read. The picture of the prairie landscape was just how I pictured it. Very cool. I’m catching up on some of your archives (thanks for commenting on my blog during the read-a-thon!) and had to jump in here and say that I’ve been to Red Cloud! I went several years ago when I was taking a Great Plains Lit class at UNL (as a nontraditional student – read: old!). I’ve read My Antonia, O! Pioneers, Song of the Lark and Death Comes for the Archbishop. Red Cloud is very much as I envisioned it. If you only read one of Cather’s books, I suggest My Antonia. You’ll recognize so many landmarks from your visit to Red Cloud. So, where in NE are you? I’m in Lincoln. My book club is reading My Antonia right now. I love your pictures so I’m going to give them a link to your blog.